This is what it’s all about. There is no predicting what we will find when we set out to discover butterflies. It is a brew of timing, location, weather, habitat health, and your luck quotient. This view shot that thought through my mind, ‘Do you see what I see?’ A solitary figure on that agricultural road in Mishmarot, Israel, the question was a sweet one for me, although it could not be shared at the time. The time was perfect, 6:50 AM. Perfect because the July 14th morning sun rises quickly. The location was good, this field remained unplanted, and hardy wildflowers flourished. The habitat? Almost all habitat in the Holy Land is desert hardy, and the previous winter had been wet enough. The Luck Quotient? I was in Israel. It is more beautiful than . . . . Well since few of you have been there, I can share with impunity that this Land is more beautiful can you can imagine. There I was, grandson just born, daughter so happy, sky blue, air super-clear, butterflies abundant, family hosting me and showing me around like visiting royalty. 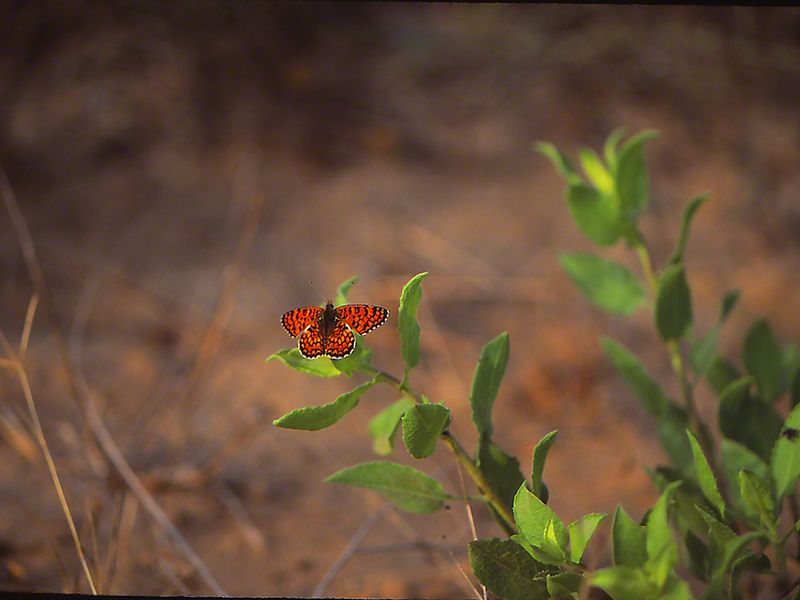 This shot of the Fritillary butterfly Melitaea Trivia Syriaca engaged from some distance, an insurance shot, is sugar to my eye, truth be told. Fabriciana Niobe Philistra (Protected) (Mt. Hermon) … 1 in 5,000,000,000,000 ? Wonderful! A working image of this rare, protected butterfly on… Mt. Hermon, at Israel’s northernmost border. 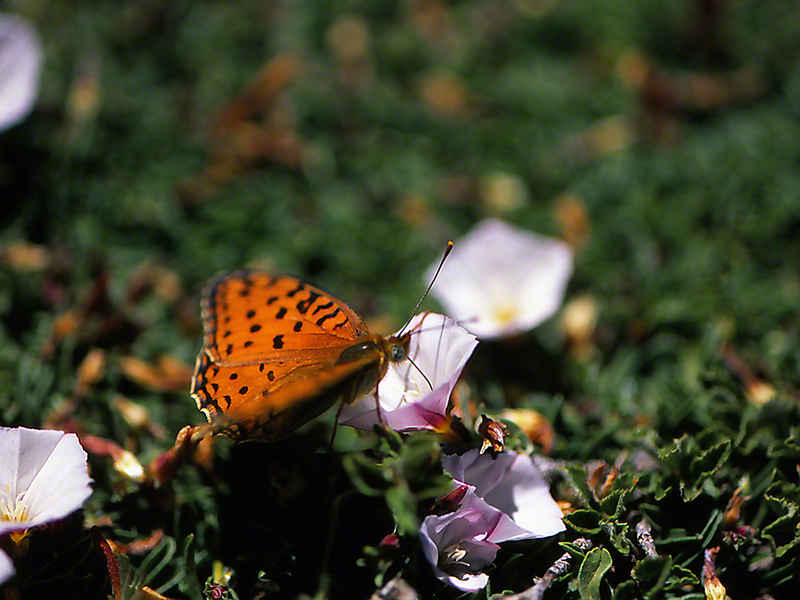 He was not approachable … until he spotted these groundcover blooms on the mountaintop. So irresistible their aroma must have been, for he sped to these blossoms, and spent precious moments on each, taking in the sugary nectar. This is another image that I am sharing, taken in June 2008. I had experienced a life-changing personal loss months before, and my daughter had relocated from Washington, D.C. to Tel Aviv. As I planned to visit her, I pushed myself to go for it, do something radical with my camera. Eran Banker was contacted, and off we went from Tel Aviv to … the peak of Mt. Hermon! Quite a few of my photos from Mt. Hermon can be seen here on wingedbeauty. Never, never will I forget that trip. Eagles flying by us as we took the lift to the mountaintop, butterflies like this one, found nowhere else, a landmine (where there were not supposed to be any), OMG! views of Syria and Lebanon, the cattle, grazing 7,000 feet plus on the mountaintop, and the knowledge that we were being watched, surveillance was watching us. A rare Fritillary this one, flying May through July, on a mountain that you and I cannot visit because of a certain civil WAR, in Syria.